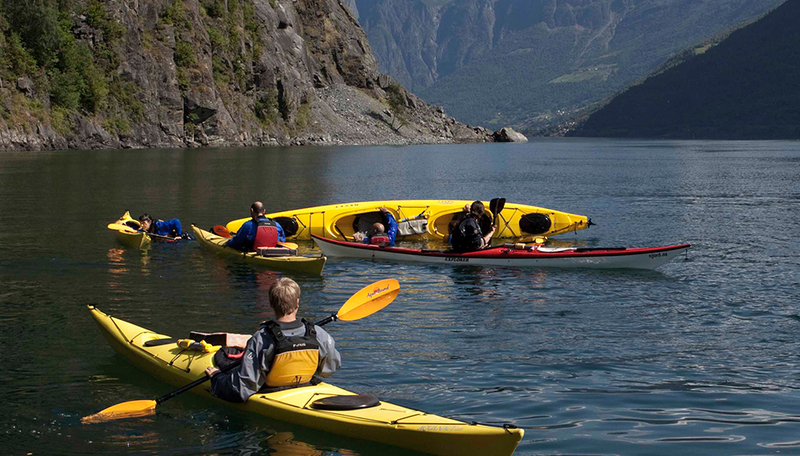 This is a course based upon the the Norwegian Paddle Federation (NPF) Introduction course. The course gives the participant basic competence in kayaking. We have added on two hours focusing on safety and rescue techniques. Upon completion of this course you get the NPF Våttkort INTRO as a course certificate. Max group is 8 persons per instructor, minimum group is 2 persons. We can do the course with double or single kayaks. All courses must be booked in advance on post@kajakk.com. It suits anyone interested in starting kayaking as a hobby, or just wish to freshen up on their safety and rescue skills. All kayaking on this course occur in sheltered water under safe conditions. You will get wet and most likely cold. Children from 11 that are used to swimming and being under water are welcome to join. What is the main aim of the course? The participant is introduced to the kayak and the equipment. After the course the participant have learned how to use wet suit, booties, kayak, paddle, spray-deck, pfd (personal flotation device / kayak flotation west), paddle float and pump. The participant will also learn about safety routines, practical rescues (buddy & self) and how to manoeuvre the kayak. All using practical exersices and in gentle weather conditions. Be aware that you will get wet on this course, please pay particular attention to the recommended personal equipment that you should bring (see below).